Pianist, composer Danny Green probably doesn’t get enough credit in a town with Mike Wofford, Joshua White, Anthony Davis, Geoffrey Keezer and Mikan Zlatkovich all in various levels of activity — but one thing’s for sure — this young cat knows how to make a record. 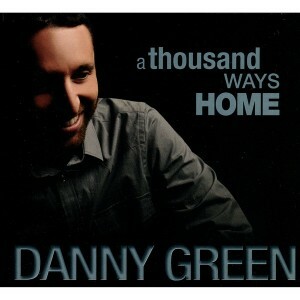 Green’s latest effort, “A Thousand Ways Home,” is set for an October release — the advance copy I received spent quite a revolutions in my player before I could take it out. Green combines expertise in classical, jazz and Brazilian music into a unified, personal whole that is both supermelodic and highly rhythmic at its heart. On the title track, the core trio of Julien Cantelm on drums and Justin Grinnell on bass are augmented by the remarkable saxophone of Tripp Sprague who is featured 6 of the disc’s 13 tracks. It’s an intricate, Chick Corea-type feel where the melody is guided at every turn with forceful rhythmic ornaments. Sprague’s dry torrents of soprano expressions circumnavigate the landscape established by the rhythm section. Eva Scow‘s mandolin sails through the sprightly Latin dynamic of “Unwind,” adding to the Baroque feel of the melody and ratcheting up the excitement with a virtuosic, blues-edged solo. Green’s own spot is all joyous melody circling around the contours of Grinnell’s bass and the constantly percolating drums of Cantelm. Claudia Villela‘s sensuous songbird vocals lift and drive “Quintal da Solidao,” a tune that benefits greatly from Chico Pinheiro‘s lithe comping and show-stopping solo. Special guest, Peter Sprague illuminates Green’s Monkish blues, “Soggy Shoes,” into a stuttering, stumbling aesthetic and tops it off with a wicked electric guitar solo. Dusty Brough sits in on “Dusty Road Part II,” blending well with Scow’s mandolin and adding an ecstatic flamenco-inspired guitar spot as well. There isn’t a weak cut on this record. Highly recommended.